One of the ways to save an infected and damaged tooth is with a root canal. The doctors at Advanced & Comfort Dentistry perform root canal procedures at the practice in Whitehall, Pennsylvania, and can help you get the pain relief you need quickly. Learn more about root canal treatment and advanced dentistry procedures by calling the practice, or schedule an appointment online. A root canal involves clearing out infected pulp inside the tooth and restoring the tooth to be free of infection. The procedure usually takes one to two office visits to complete and your dentist will administer local anesthesia. Getting a root canal at the right time is essential for preserving your tooth. If you wait too long to get treatment, the infection inside the tooth can spread to other teeth and you might suffer severe pain. 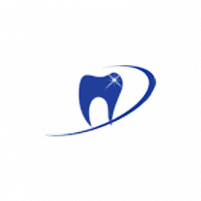 Root canal treatment is a relatively simple procedure and can help alleviate all the pain and discomfort you might be experiencing if the inside of your tooth is infected. What’s involved with root canal treatment? The procedure begins with taking X-rays of the tooth and surrounding bone. The dentist numbs the area and places a thin sheet of latex rubber over the tooth to keep it dry. They create an opening in the top of the tooth and remove the damaged nerve inside. They then clean the inside of the tooth and might use a germ-killing medicine inside the areas in the root, or root canals. Your dentist fills the root canals with a rubber-like material to seal the tooth completely and prevent another infection. Placing a temporary filling and then a permanent filling or crown will complete the procedure. You might need to take antibiotics after treatment and come back to the office for a follow-up visit. Your doctor places the final restoration during the follow-up visit. The tooth might feel sensitive for a few days after treatment, but you shouldn’t feel much pain or have any swelling. Learn more about root canals treatment by calling the practice, or schedule your appointment online.